Know what’s working. Know what isn’t. Know what to do about it. Your big data + Net-Results’ dashboards and reports ensure that you know things that matter. Know you’ve got the best looking dashboards available. More than just pretty reports. Actionable insights. Get insight into which landing pages are the best at converting. 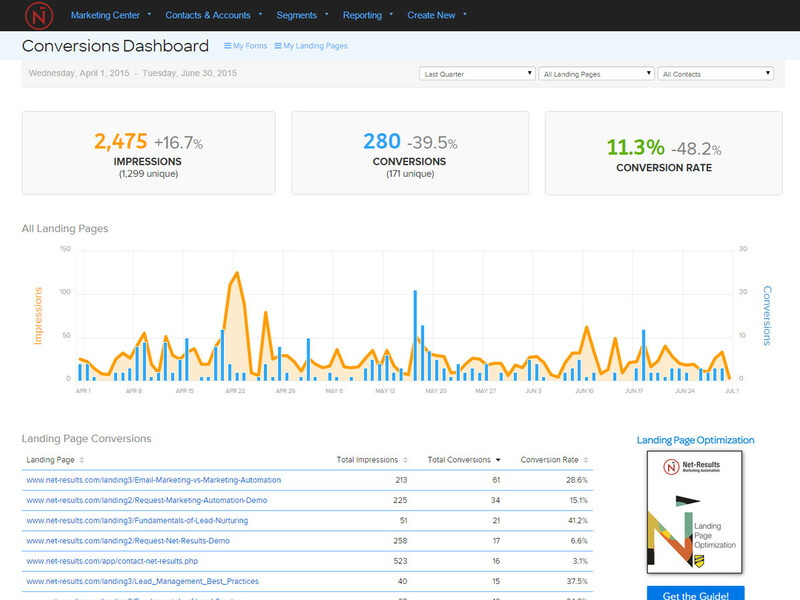 See total impressions, conversions, and conversion rates for all of your landing pages over any time period. TIP: Drive traffic via paid, organic, and social channels to your best converting pages and see your lead count grow. Track which assets are driving the most new leads and activity for your organization. See trends in which assets are gaining in popularity and are contributing to revenue. TIP: Create a campaign to promote your best performing assets, but first, filter out any contacts who who have already downloaded it. 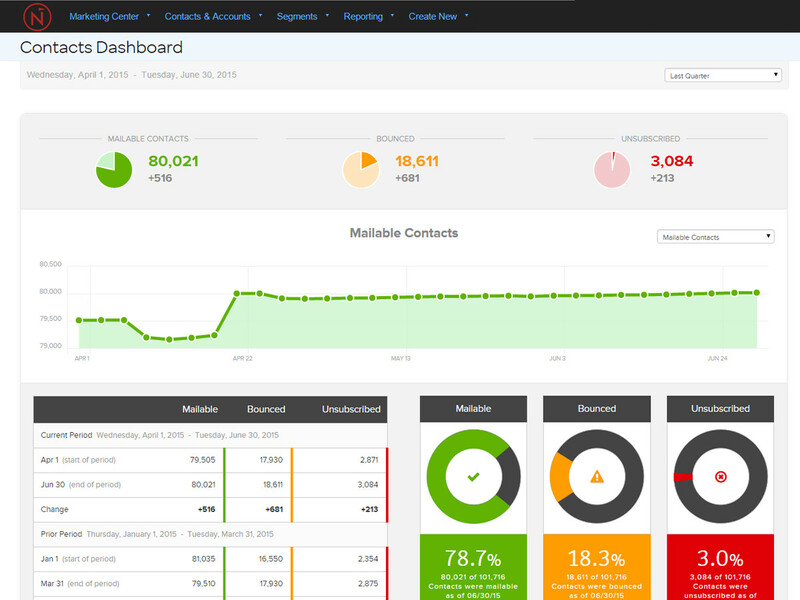 Monitor trends in the growth of your contact database. Easily see how many new contacts were added, had an email bounce, and unsubscribed over a period of time. 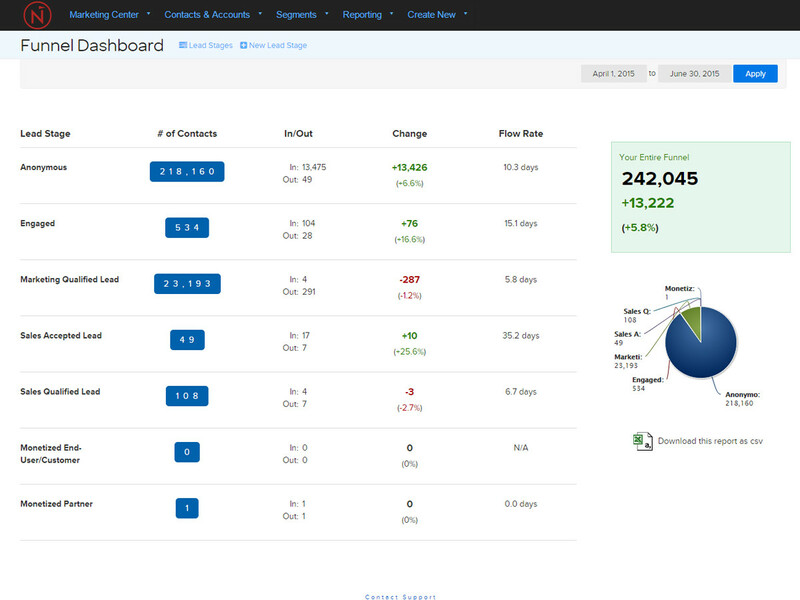 TIP: Use this dashboard to stay on top of your churn rate. If your churn rate drops, try launching new inbound programs leveraging smart forms. Stay on top of the health of your funnel. 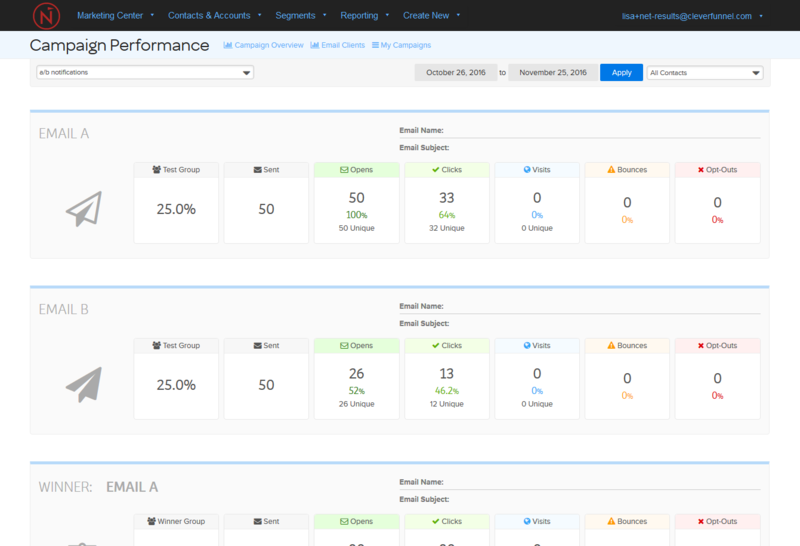 The Funnel Dashboard shows how many contacts in each lead stage and provides detailed information about how leads are flowing in/out of each stage. TIP: Know where leads are getting stuck in your funnel, and get them moving with lead nurturing campaigns. TIP: Start A/B testing with headlines and subject lines. Then move on content and structure. Set up recurring reports, sent directly to your inbox or to your team. 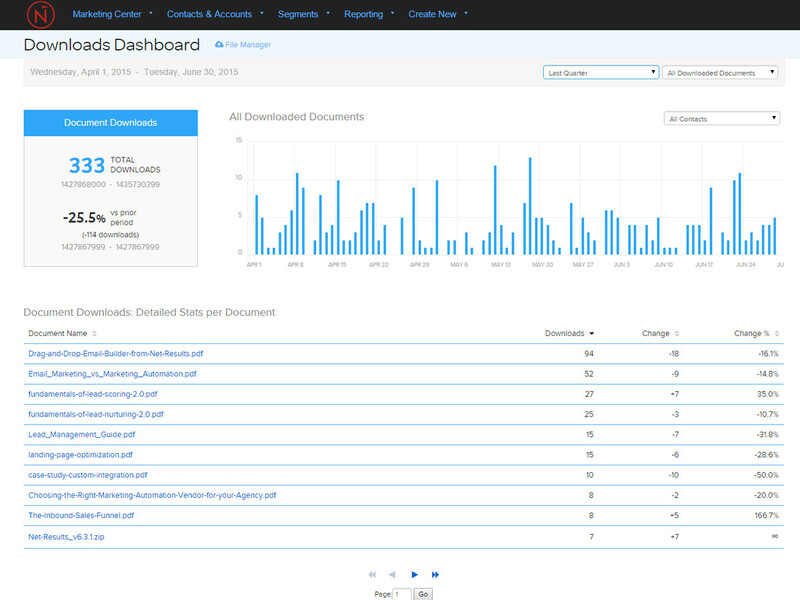 Create customized reports for sales, executive staff, and the marketing team. Easily keep everyone in the know about the success for your marketing activities. Create alerts to be notified when an event occurs. Get an email alert every time the alert is triggered. 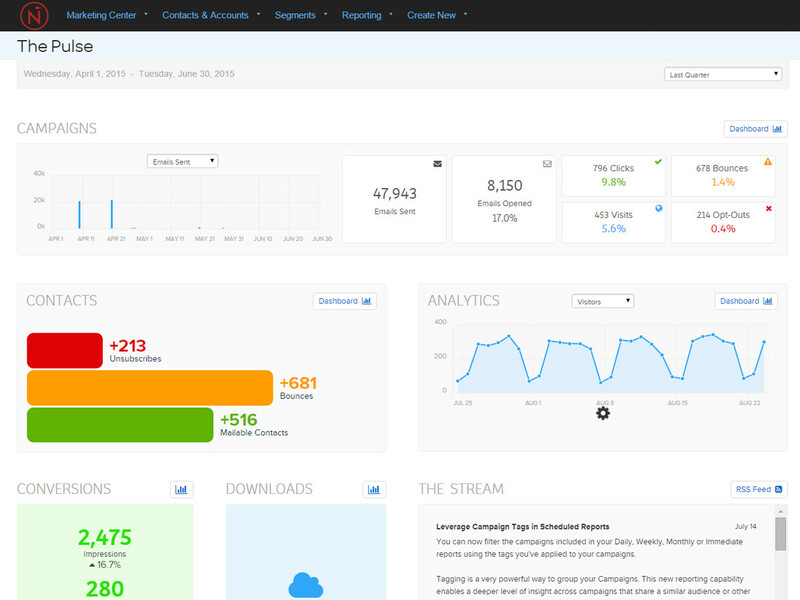 Want to know when someone visits your pricing page? How about when a certain asset is download or when a form is submitted? It’s possible with Net-Results.